Published by the American Geophysical Union as part of the Geophysical Monograph Series, Volume 150. Perhaps the most pressing scientific challenge before us concerns our understanding of the Earth and environmental change, which is occurring at a dramatic rate. Humanity can expect serious difficulties on the road ahead as a result, even to the point of threatening civilized progress itself. There is thus an urgent need to understand the state of the planet, to anticipate the effects and consequences of environmental change, and if necessary take preventive action. Our understanding of change and its consequences can only advance, however, if we understand the Earth system well. Geophysics (sensu lato), one of the critical disciplines in the emerging interdisciplinary Earth System Science, forms the basis of the present book—which moves from the deepest parts of the Earth to surface environments, to a final discussion on the interface between science and society. While depicting the frontiers in each of their fields and focusing on present challenges, our contributing authors have also written for wide readership, specialists and non-specialists alike. 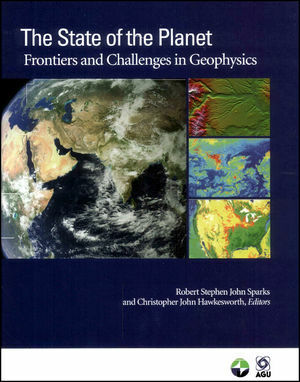 Robert S. J. Sparks is the editor of The State of the Planet: Frontiers and Challenges in Geophysics, published by Wiley. Christopher John Hawkesworth FRS FRSE is a British earth scientist, and former Deputy Principal and Vice-Principal for Research, at University of St. Andrews.